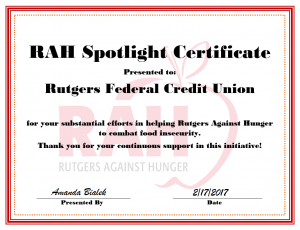 Each semester, Rutgers Against Hunger will be spotlighting one individual or organization which has been exceptionally supportive of RAH in its fight against hunger. You all do so much for us and we are incredibly grateful for each and every contribution! Thank you RFCU for your continued support! 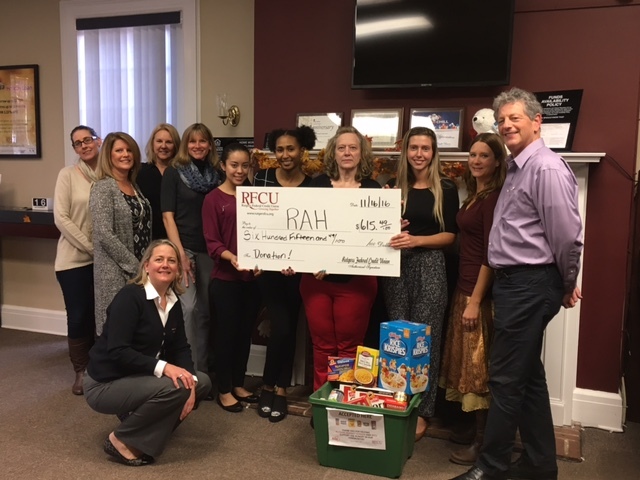 For the 3rd year in a row, Rutgers Federal Credit Union hosted a Food and Fund drive to benefit Rutgers Against Hunger. They matched donations collected at all four branches during the month of October, which added up to a very generous contribution (plus a few bins of food!). We’re so grateful to have friends like those within RFCU.